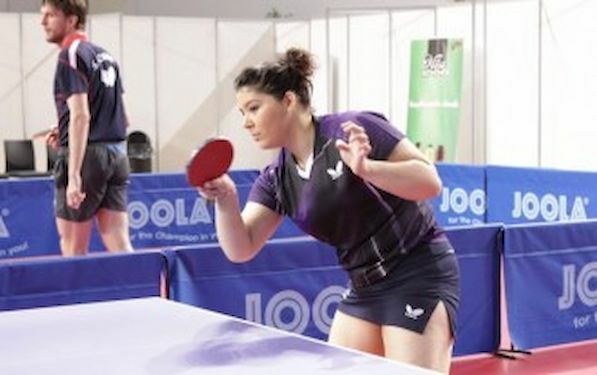 Maryam IMANOVA will represent Azerbaijan at the forthcoming 2015 NN Table Tennis Club ITTF – Europe Top 16. IMANOVA, placed at position 672 at the current World Rankings will play against top European players, but she showed no fear. “I am looking forward begin of the tournament. I will give my best, I am not nervous at all,” said IMANOVA. IMANOVA has International experience since she already played at two European Championships in Austria and Lisbon and at the Word Championships in Tokio. “I never had opportunity to play against girls listed here, it will be great experience for me. I think that LI Jiao is big favorite here,” said Maryam.